Discussion in 'Replica Props' started by Icetigris, Oct 19, 2011. I want to build a bow similar to those used on screen in LOTR. I read here that they were made of injection-molded rubber; I also read somewhere that Susan's bow in Narnia was made of foam with a spring steel core. What I want to know is, since I don't have injection molding equipment, is what kind of rubber or foam should I use and should I sculpt my original in the strung or unstrung configuration? If there are any Weta people lurking about who might be able to give some details or insight about the builds of those bows, I would be eternally grateful. I am immensely interested as well. I will be keeping a close eye on this thread. Just to clarify, I'm looking for technical specs on the rubber or foam I should use. I'd like to know the shore hardness of the rubber and the expansion factor for the foam. I am assuming that the rubber is urethane and that the foam is flexible, self-skinning polyurethane foam. I also would really like to know if I should sculpt the original as strung or unstrung cause I want to start sculpting soon. Weta people do hang around here, right? Apologies for necroposting, but I came back to this project and had a small breakthrough around Halloween. I'm going to try to use collapsible fiberglass rods like they use in kites as a core (I'm actually using a rib from one of those Ikea LOVA leaf canopies), and then put a removable self-skinning foam cover over it. I'm working on the Breakers' Bow from Bastion for Katsucon, so I'll try to post progress shots. Not a necropost if it's your own thread. 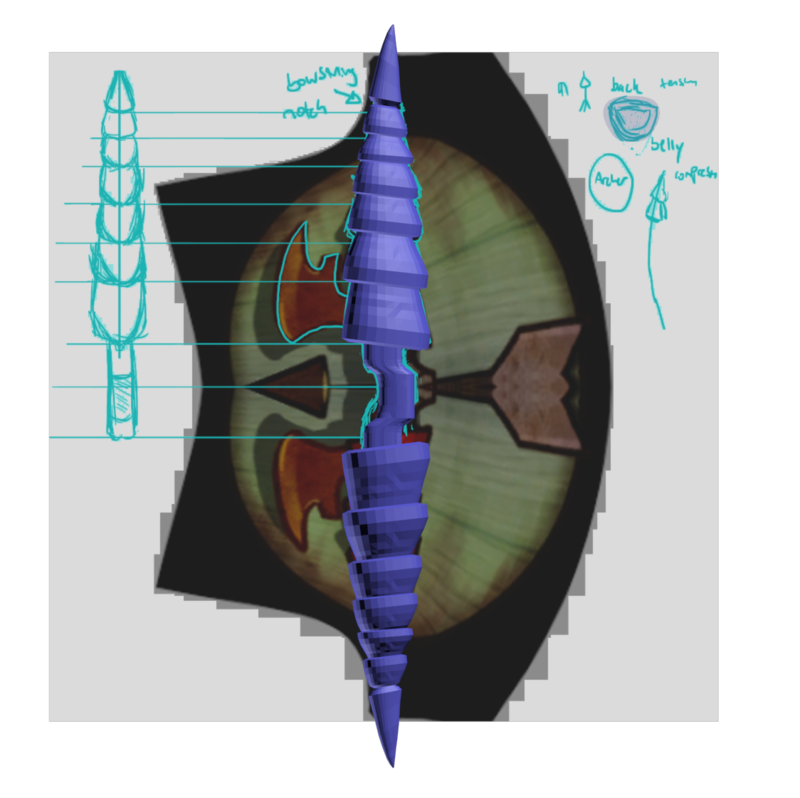 I'd love to see your progress on this build, especially if you're doing the Breaker's Bow. What's the product you're using from IKEA? Perhaps a pic of it and how you're using it? You could also look up "PVC bow" on YouTube for more ideas. I warped the artwork such that the bow was in the unstrung position. I still have to model the blades and generate toolpaths.